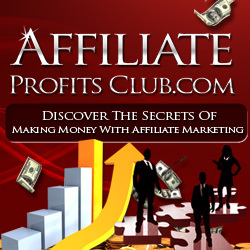 You are here: Home / Make Money Online / Can PPC Put Your Affiliate Profits On Autopilot? When it comes to generating a serious income in the online world, there are two critical things you need: traffic and a converting website. The latter can be built by hand with a smart infrastructure and some writing that connects with the needs of visitors. Traffic’s the other half of the equation, and it’s where plenty of new marketers fall flat on their faces. Article marketing, commenting, blog posting, and making contacts in the community can be very effective, but they require consistency that a lot of affiliates can’t provide. Luckily, paid traffic is an option at almost any budget level, and if you’re willing to invest in your business, you can see a promising return. Best of all, you’re microtargeting potential customers , boosting your conversion rate even further. With the right offer, Google AdWords can be an incredibly powerful tool that lets you make a fast profit with a bare minimum of effort. But there are a few dangers there, too. Google’s Adwords platform is very popular. Hosted on millions of associated websites – not to mention the Google search engine itself, it’s an easy way to instantly expose your site to thousands of searchers within a few hours. Every time someone does a search for your targeted keywords, your site will pop up in the sponsored links section – you only have to pay when people click the advertisements and visit your site. Before you commit to AdWords, get a handle on how well your site needs to perform. The first step you should take is looking at your competition. Are the sites featured in the sponsored links for your targeted keyword affiliate sites that are similar to yours, or are they full fledged products? How high will your conversions need to be? Compare the amount of money you’ll make from a commission to the amount it costs you for a single click. You’ll need to make sure that your page converts at a high enough rate to cover your investment and make a profit, too. This generally means you need to promote high dollar products to succeed. You also have to make sure that your site meets the terms of the PPC provider. Google isn’t a fan of direct links to affiliates or “thin sites” that just have a splash page. The easiest way to plug your site into this powerful network is to create sites that have value on their own and team the site with a powerful giveaway to collect subscribers for your mailing list. The profits aren’t as high on the front end, but it’s instant, targeted traffic from people that are ready to buy!